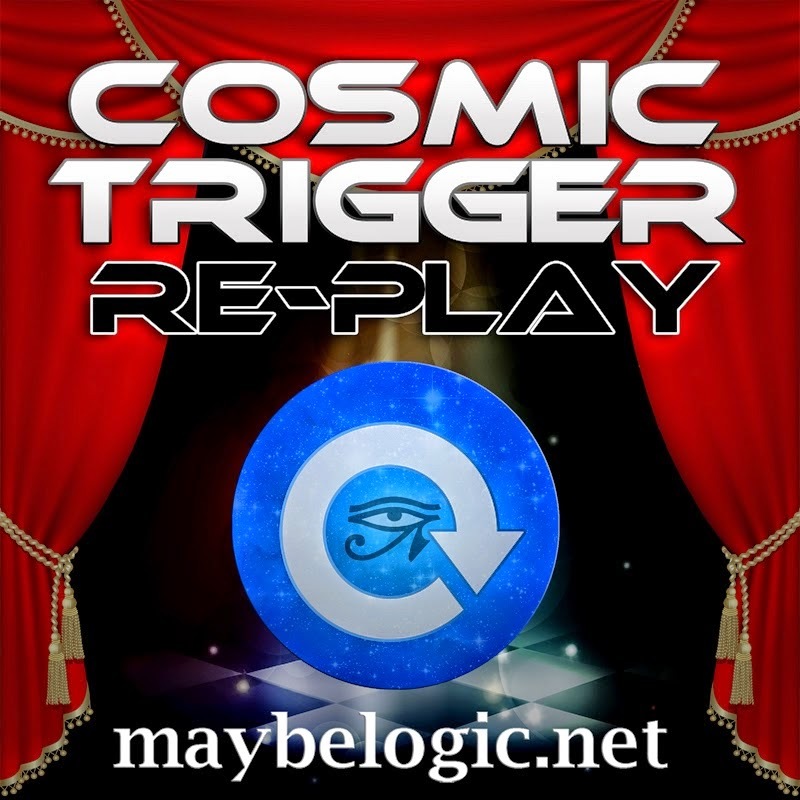 Maybe Logic Academy, apparently still active in offering courses after all, has announced that it is presenting an online course on Robert Anton Wilson, "Cosmic Trigger Replay." It starts Sept. 23, and is serving as a kind of run-up to the new Cosmic Trigger play in England. Details on the course are here. A donation is requested, but folks are essentially being asked to pay what they can afford. It's an eight week course. The new offering is being taught by four different Maybe Logic veterans: Bogus Magus (aka Toby Philpott), Bobby Campbell, Propaganda Anonymous and Steve "Fly Agaric" Pratt. Given the credentials of the faculty, this course offering seems like a pretty good opportunity. Bogus has an Illuminatus studies site. He's on Twitter. 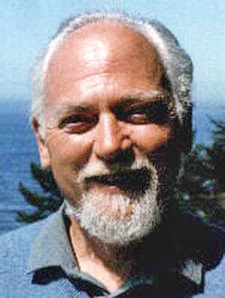 Bobby Campbell is an artist and writer who has done illustrations for many of Robert Anton Wilson's and Robert Shea's books. You can follow him on Twitter, and you can also buy his new comic book and read my recent interview with him. Steve Fly Agaric is music director for the Cosmic Trigger play. 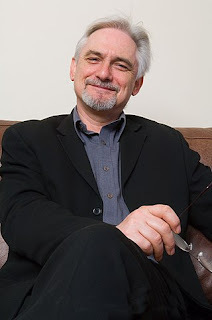 He is a musician, a writer, an expert on building websites and probably 10 or 15 other things I've forgotten. He has so many websites devoted to RAW that it is difficult to keep up with them all, but here is one and the amazing RAW360 is here (do yourself a favor and take a look). Go read my interview with him to see why the New York Times once ran his picture. Propaganda Anonymous is a writer, performer and activist in New York City and has been a member of Maybe Logic Academy from the beginning. More here. Thanks for the write up, Tom! Toby Philpott is an English puppeteer best known for his work in motion picture animatronics during the 1980s in such films as The Dark Crystal and Return of the Jedi. Born into a family of entertainers, Philpott dropped out of school and traveled the world during the 1960s, squatting in various locations and surviving off money he earned from his work as a street performer, which included juggling, fire eating, magic shows, clowning and acrobatics. He began his film career after Jim Henson personally selected Philpott to work on the 1982 fantasy film The Dark Crystal, in which he worked side-by-side with Henson. The next year, Philpott was approached to serve as one of the puppeteers controlling Jabba the Hutt in Return of the Jedi. Philpott controlled the left arm, head, tongue and body of the giant Hutt puppet. Philpott would lend his puppetry skills to other such movies as The Company of Wolves (1984), Labyrinth (1986), Little Shop of Horrors (1986) and Who Framed Roger Rabbit (1988) before leaving the film industry. He currently works as a library technician at the Cardiff Central Library in Cardiff, Wales. Reflecting upon his movie career, Philpott describes himself as a "street juggler that got lucky".